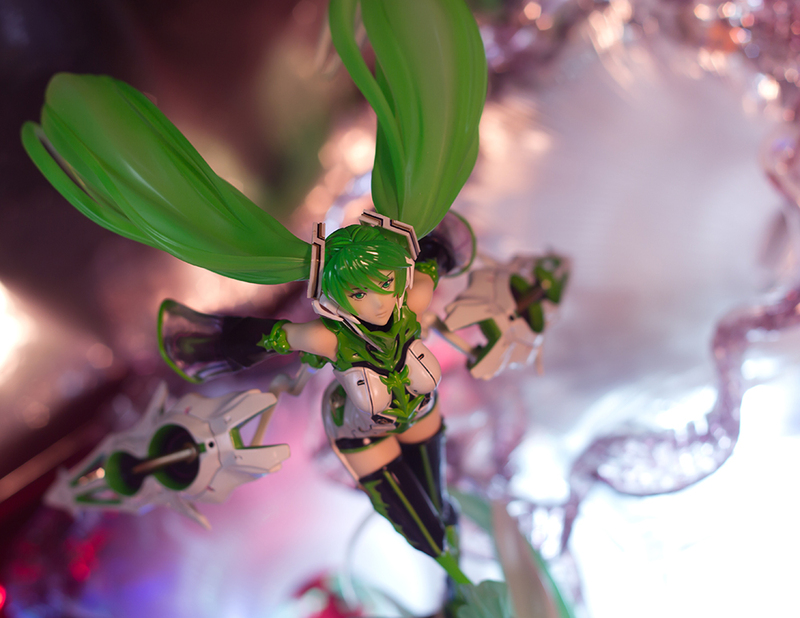 It’s been raining all week and there’s nothing much to do so I took Miku Hatsune VN02 Mix out for indoor photoshoot. Besides, I should start stockpiling for GSC’s figure photo contest and practice scale figure shoots. 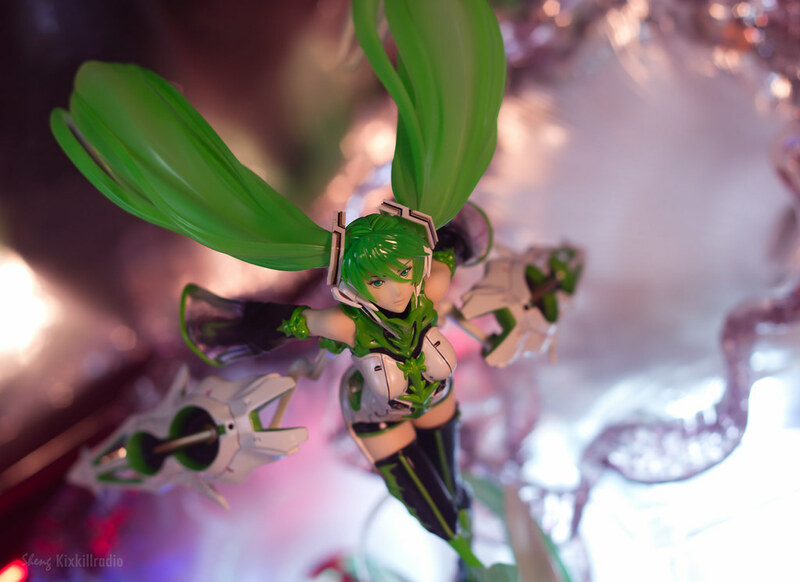 This is my first Miku Scale figure in my collection. To be honest, I’m not a big fan of Vocaloids, I’m not even updated what song they have released etc. 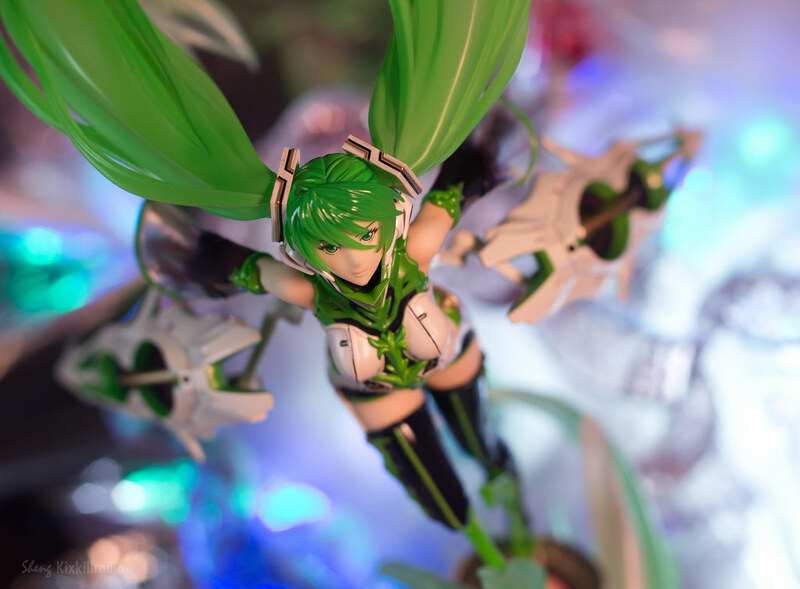 There’s just something about Miku that captures me. Here’s another set of photos. Enjoy! Thats a really cool high tech design, too bad theres no anime with this figure. picture 2,3 and 4 are my favorites, since the lighting of her face is the best there. Ah good luck for you nevertheless. I mainly have Max Factory not GSC, but they say it’s ok with closer companies. You say I shouldn’t feel bad when sending in like 5 pictures? Ahaha I don’t know. Ah you should have received an email, maybe it ended in the spam. Oh no, i didn’t get any email. No spam either. Oh no.. Thanks for the heads up. Ah this one’s a classic. I always appreciate the Miku designs that really look different. This one has a dynamic pose and those floating… things… at her sides. Looks like she’s rushing away from some kind of chaos in your photos! The only thing I disapprove in this figure is the size of her breast in front view shot.. Must be because of the pose. But when in side view it looks perfect. I’m looking forward to seeing your next entry! And many others as well, everyone is so creative with these figures! I have had my eyes set on a number of full-scales for a while now, it’s just finding the money for them. But hope to one day own one at least! Aren't you joining the contest? Brilliant photos! 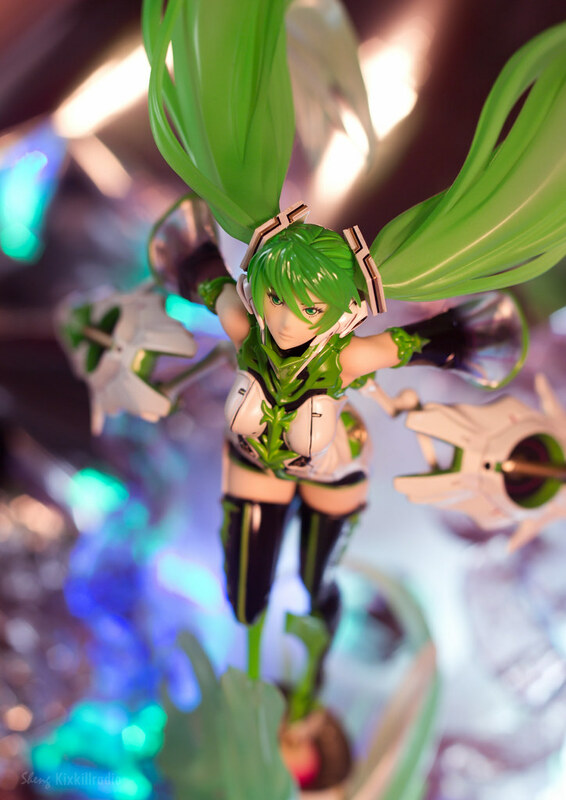 the background really complements the figure, makes it look like Miku is in motion, Cool effect. Good luck in the GSC Photo contest~! I think led lights helped me get that cool and smooth lighting.